What is the Dungeon Fighter Online game? Side-Scrolling 2D Fighting Game Dungeon Fighter Online - Dungeon Fighter Online, also known as DFO, is a multiplayer PC beat 'em up PvP oriented online video game developed and published by Neople, a South Korean subsidiary of Nexon, and originally published by Hangame. The original name of the game is Dungeon & Fighter, but in US it's called DFO. The gameplay of Dungeon Fighter Online can be divided into two parts: dungeons and PvP. To go dungeons and clear all mobs and bosses to earn loots, in which contains DFO Gold, items, and exp. When in moonlight tavern, you can matchup for a 1v1 or 2v2 PvP, which is the main part of the fighting game. Players will traverse 2D screens while fighting hordes of monsters. Characters have two stats during battle - the HP meter and the MP. Slayer, Gunner, Priest, Fighter, Mage, Thief, and Knight form the classes system of DFO jointly, and manifest their uniqueness through appearance, gaming and leveling. 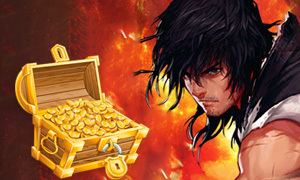 Why buy Dungeon Fighter Online Gold from Joymmo.com? Now, you are completing awakening quests to unlock more skills and stats for your character. But most of quests during playing are needed DFO Gold, which spends for buying items, and others. You can earn Dungeon Fighter Gold from farming, but we strongly recommend you to Buy Dungeon Fighter Gold is the better choice. Because it will save more time in-game, and you have enough time enjoy Dungeon Fighter Online game.